Ok, so I am a bit obsessed with Vampires it's seems, the reason is that I haven't played the game much in the past years due to lack of time, so, I'm just discovering what they have to offer. Anyways, this a script mod that simplifies the cheats that you introduce in the console command windows. It is based on EA cheats for the expansion but handled in a more easy way to introduce. 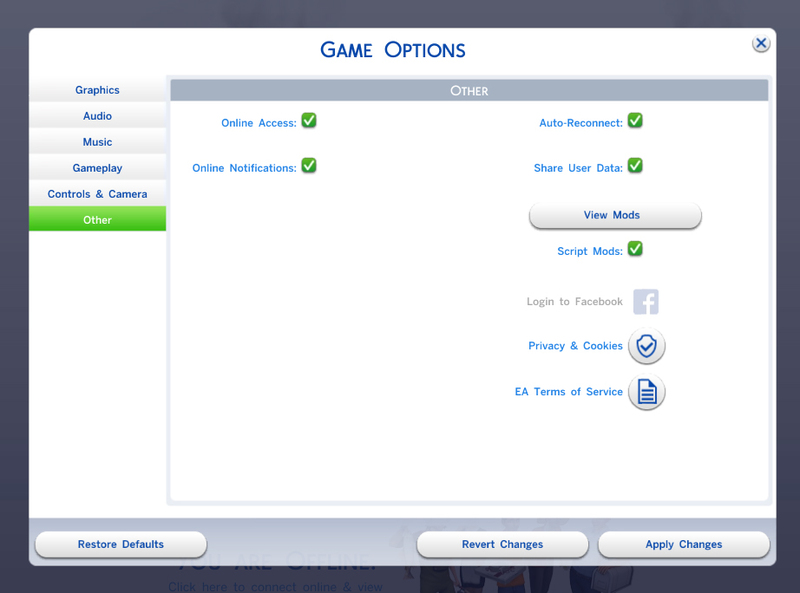 You won't be needing to handle Sims ID's or enable testingcheats. I mainly did this for me, since I use this constantly in my gameplay, some of the commands are very useful, but a pain to quickily introduce them the classical way. * Script MOD. You need to enable mods, and then script mods in the game options menu. 04/20/19: It works with update 1.51.77.1020. 02/23/2019: Added a .zip file for the english version. If you have problems opening the .RAR file is because you have an outdated version of WinRAR. Try this version if you need. 02/23/19: It works with update 1.50.67.1020. 12/31/2018: Added a Chinese version as per request from dannywangjo (who provided the strings for this version). You can enter '吸血鬼.大秘籍' in the console command to know the other commands available in this language as well as the descriptions. The cheats are the same so make sure you only have one version installed. So!, now that you've introduced to the cheat commands and you're getting along (they are a lot more friendly than EA ones, believe me ). Let's talk about some classic examples on where would you want to use this mod and how to do it. 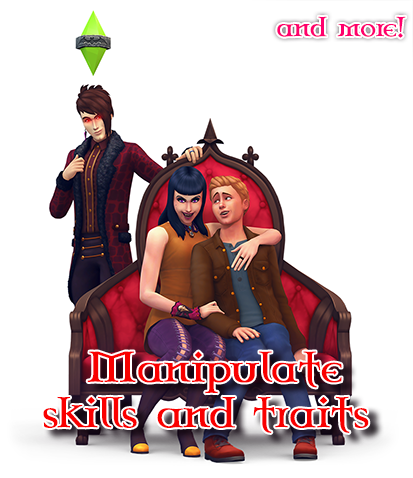 Example 1: Let's say you have a human sim that you want to turn into a vampire, there's no vampire around to give them the magical bite (or your sim is a loner). With this mod you only have to insert the vamp.bite or vamp.turn to bite your sim and slowly turn him into a creature of the night, or... a faster way, making it instantly. 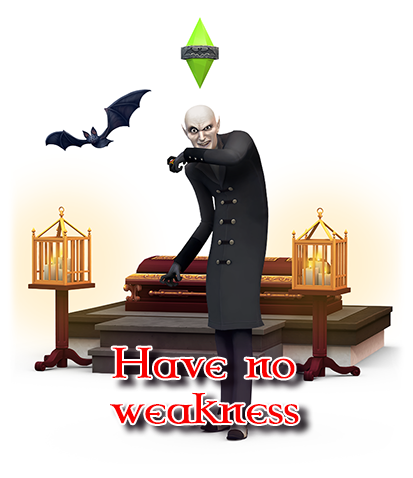 Example 2: Let's say that Vlad has reached the top of GrandMasters but has decided that he is no weak vampire, he don't have to be lowered by some weaknesses, no problem! Just make sure to select all the powers you want for Vlad, then run the vamp.weakness.refund and he will reset them! All the power in his tiny hands, and no reason to stop at all!! Example 3: Let's say that Lilith Vatore want's to be the real deal, turning the town into an army of vampire warriors, she wants to command her offspring like no other... wait no more! You can run the vamp.themaster to add her the special reward trait, without taking the long run and completing each task! Hey..!! You, go back to cleaning! 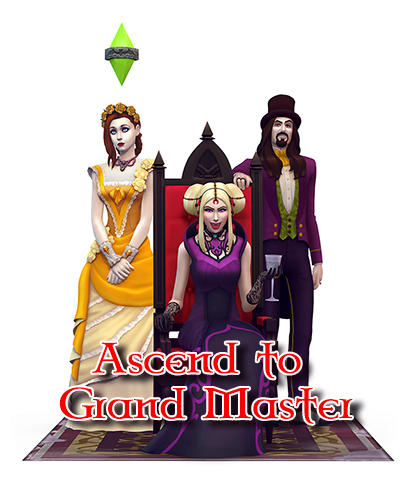 This mod has been made using the version 1.48.94.1020 of the game. It might not be compatible with other version. It shouldn't conflict with any Script or Tunning mod since it calls the EA's default cheats. Notice that if EA removes one of the cheats in future updates it will not work. (It will need update). Andrew for the tutorial and tools at S4S forums. 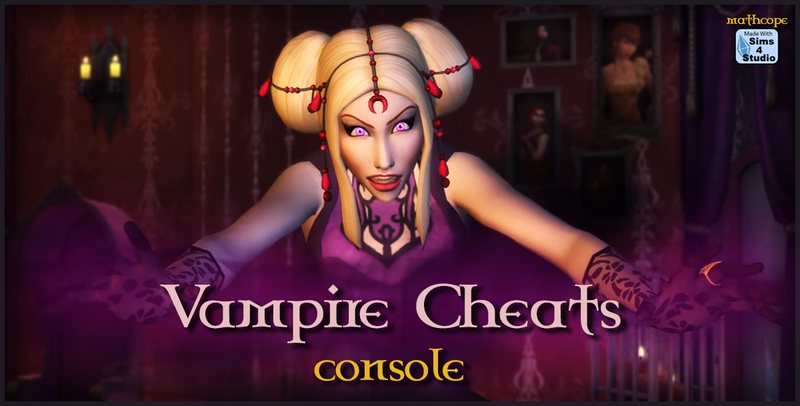 NEW_VampireCheats_Mathcope.zip | Description: ZIP Version, if you have problems with the .RAR download this.